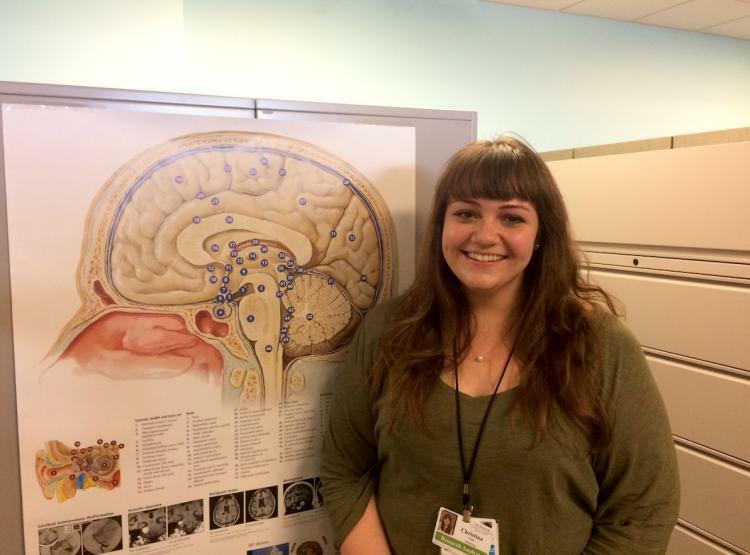 Christina Caso has joined the research team at the UW Memory and Brain Wellness Center (MBWC), in its affiliated Alzheimer Disease Research Center (ADRC). 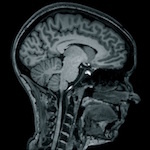 She comes to us from the Massachusetts General Hospital's Frontotemporal Degeneration (FTD) Unit, where she worked with Dr. Brad Dickerson's lab on research to understand the relationships between brain anatomy and function in individuals with FTD and other neurodegenerative diseases, particularly FTD. FTD is a spectrum of non-Alzheimer neurodegenerative diseases that progressively impact motor function, language, and/or behavior. In this introduction, Caso discusses her role in new research projects, guiding participants through clinical research studies, and her motivations for working in the field. Welcome, Christina! How are you settling into your role as research analyst at the UW MBWC? I’m just where I want to be—in an environment where I can do both clinical work and research in Alzheimer disease and FTD. It’s been an easy transition from my position as a research coordinator at the MGH FTD Unit in Boston, because I’ve had so much training and experience in overlapping approaches and projects, such as tau PET imaging, biomarkers of disease pathology, and working directly with study participants and the magnetic resonance imaging (MRI) scanner. My job definitely has never reflected the paper definition of clinical research coordinator, and that’s what excites me. Here, I will have a lot of different roles, including managing projects, running research studies, and processing data. I think that’s why I have a better understanding of clinical research and this patient population than I might not have had otherwise. What are you most excited about in the research world? When I started in the MGH FTD Unit four years ago, people were really just starting to think about biomarkers, which are markers in the blood, spinal fluid, levels of amyloid or tau pathology in the brain, or scores on cognitive tests. Tracking changes in biomarkers over time can help researchers to monitor a disease’s progression, or the effect of a therapeutic during a clinical trial. Because of biomarkers, there’s huge potential to develop drugs that work well for specific patient populations. Biomarkers added a whole other level of interest in this field for me because I had never really thought about any of these dementia syndromes as being caused by an underlying pathology; I had only thought about clinical symptoms. Now, I’m watching biomarkers become the most clinically relevant avenue of research in neurodegenerative disease. The most exciting advance in biomarker research is tau imaging - a method of PET that reveals the pattern of accumulation of tau (a pathology present in several neurodegenerative diseases) in the brains of living people. At the MGH, our team was heavily involved with the development of this technology and I got to see some of the first successful tau PET scans. I think tau imaging is going to have huge implications for understanding and diagnosing FTD and Alzheimer disease and monitoring the effectiveness of drugs targeting tau. It’s just come so far in a few years. I think it's amazing to be part of a team at the UW Memory and Brain Wellness Center that’s working on this advancing research tool in several upcoming studies. What are some specific research projects you’re working on? 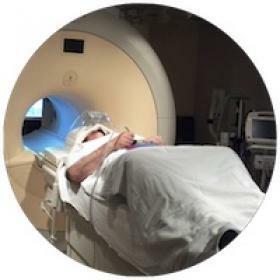 I’ve been working on the Therapeutic Pipeline Project's Dynamic Functional Connectivity MRI in Preclinical AD, an imaging study led by Dr. Tom Grabowski and Tara Madhyastha, PhD., to evaluate the potential of MRI and PET scans to serve as a tool of diagnosis or to track disease progression. I help conduct the study visits for the participating subjects who come from our cohort within the Alzheimer Disease Research Center (ADRC). I also help to operate the MRI and perform quality control on the scan. I will also help run the Imaging Dementia—Evidence for Amyloid Scanning (IDEAS) study, which was recently launched at the UW. IDEAS is assessing the clinical usefulness of amyloid PET scans, which can serve to differentiate possible Alzheimer disease from other disorders and therefore help physicians to provide accurate diagnosis. If the study shows that the scans actually do improve health outcomes for the participants in the time after they receive the scan results, Medicare and other third-party payers will consider implementing policy to reimburse costs for amyloid imaging. I’m working a lot with Dan Peterson, a research scientist at the UW Integrated Brain Imaging Center (IBIC) and Dr. Kimiko Domoto-Reilly, UW MBWC neurologist and researcher. We are currently working on an exploratory project to use 3-D printing to make replicas of the brains of study participants who consent to autopsy, based off of their structural MRI brain scans. When a participant later comes to autopsy, we hope to be able to print out the 3-D plastic model of his or her brain and give it to the neuropathologist as a reference, which I think is pretty neat. What drives you to be a part of this field of neurodegenerative disease research, and why? It comes down to the feeling that I’m doing work that will be directly used to further research and improve lives in my lifetime. I don’t know when the big treatment breakthrough is going to happen, but I’ve heard a lot of people say that they are confident that we will find a treatment for neurodegenerative disease within their lifetime, and these are prominent researchers, such as Bradford Dickerson, Reisa Sperling, and Scott McGinnis. Being a little younger than them, I feel even more confident that this work will have a direct benefit. Can you share about your daily experience working directly with study participants? For the Therapeutic Pipeline Project, many of our study participants are healthy controls and people with mild cognitive impairment. My favorite thing is getting the participants ready for the brain scanning process. Most of these people know they are in a study for Alzheimer disease, but haven’t had an MRI before. They often don’t understand how the scanner works or why we do certain things. I like talking them through the process. Afterwards, I can explain why the machine made strange sounds, for instance, and what we are hoping to learn. As we start to launch studies that include people with FTD, who might have behavioral issues, I feel like my experience in Boston will become very important. I feel so equipped and comfortable with patients with FTD and their families from my time talking and serving as a support resource for them. Family members can get embarrassed when the patient makes an inappropriate comment, for example. But, I realize it’s just the disease. I laugh it off and make them feel comfortable and safe. We are all in good spirits. A disease’s symptoms never deter us from doing the work we do. What’s your favorite part of Seattle so far? Since I arrived, I’ve been exploring Seattle, going to pretty much every park in the area, which has been fun. he Seattle Public Library is my favorite place in the city. More and more, I’m meeting people who want to drive to the mountains just outside the city. I’m planning to travel along the west coast, something I’ve always wanted to do. But, most of all, I’m really excited to be working in a place with such big possibilities for me to be a part of this field and explore the different paths I could take in the future.